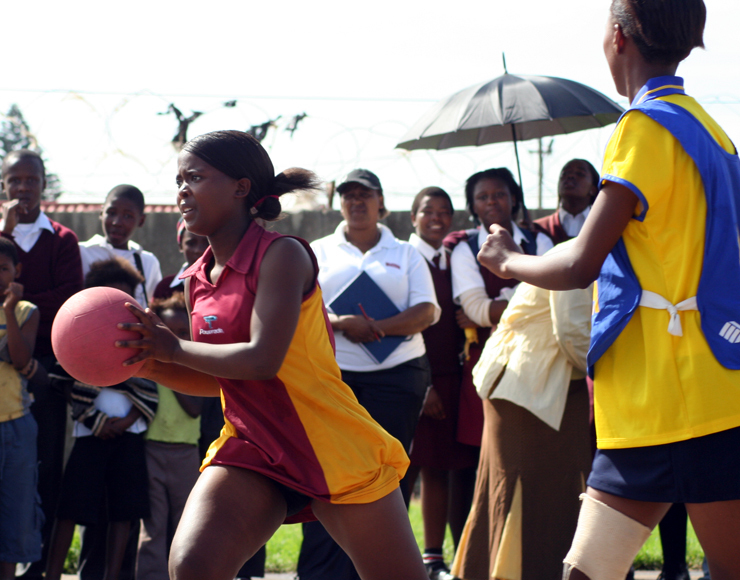 On this sports coaching project you will be working with Netball players largely centred around the local townships and surrounding schools. 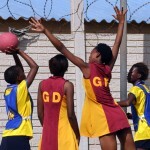 Netball truly is one of Ghana’s next up-and-coming sports and there has been a significant increase in the number of players joining the sport in the last few years. Although Ghana does not have a history of mass participation in netball, there is an ever increasing passion to play netball in the schools and universities. The Netball teams you volunteer with range from under 10’s to under 18’s and will naturally vary in athletic ability, experience and communication however all ages are an important focal point for the community. You will be inspired by your young players as they all play hard during the coaching sessions, many of them dreaming of one day playing for their national side. 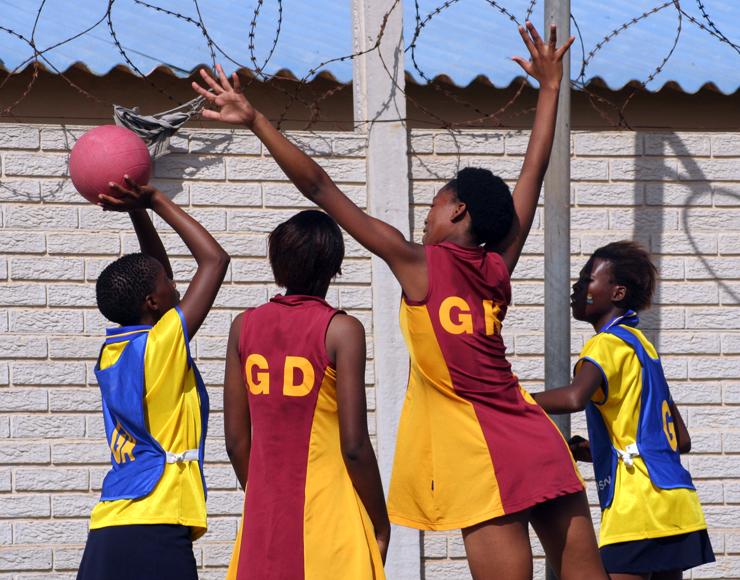 Your role as a volunteer Netball coach in Ghana will involve you organising coaching sessions with the schools and clubs in the local townships. Poverty is rife in Ghana and this is your opportunity to make a difference to those less fortunate, many of your players come from poor backgrounds and most would never had the opportunity to play Netball before. Your participation in the projects means you are introducing a new sport to these children which they can then enjoy as a hobby or possibly take it to a higher level, either way you will be making a noticeable difference to their lives. This project is fundamental in the development of the communities we support, Netball is one of Ghana’s up and coming sports and a noticeable increase in the number of players has been seen in the past few years. Ghana currently has a well structured league system in Netball which helps to increase the awareness and enthusiasm among schools and universities, these developments in the sport have helped fuel the emergence of the national squad which includes a number of very talented players. This development is great to see as Ghana does not have a history of mass participation in Netball and projects such as this have certainly helped in this process. Even with the sport emerging there is still very few opportunities for children from rural locations to develop their skills at the grassroots level, which is why this project is so important. 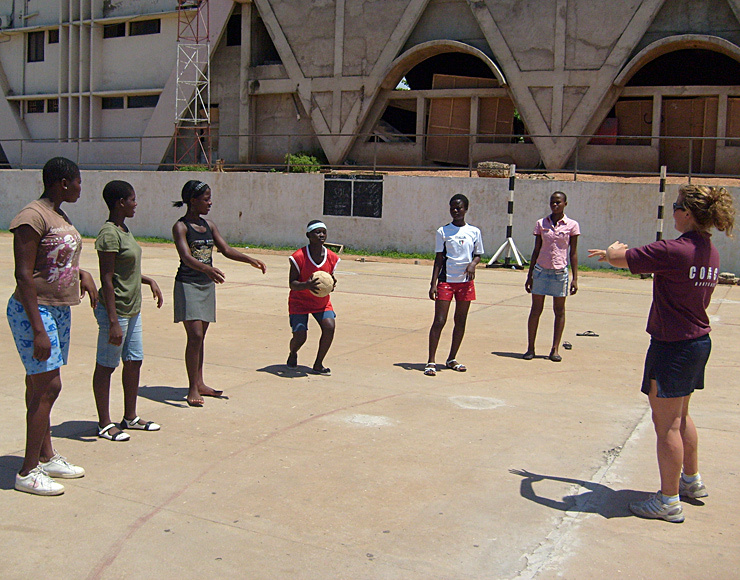 As a volunteer netball coach in Ghana, your role will be to help run training sessions and organise matches for the local teams and children. Although this may sound daunting at first you will quickly realise how to relate with your players and form relationships with them which will in turn help to build your own confidence. The rewards are huge as you will see the enthusiasm and talent is often there, they are simply lacking the experience of team structure and training programmes. By using your skills you will help to introduce basic techniques in passing, shooting, movement and position holding, you will see your players skills develop quickly. The project is structured in such a way that you will work alongside our in country team and our other volunteers so that you are always working as part of a team and never alone. With this said you will soon develop your own personal coaching techniques and drills that will help you as part of your personal development. The first stage of your training project is to help you form relationships with the players and help to develop your own confidence. 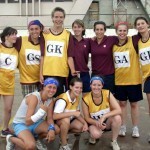 In the secondary stages of the project you will be planning Netball tournaments which will incorporate not only Netball matches but also various team building activities. As part of this process you will also have an opportunity to scout for individuals who could possibly go on to play professional Netball, the sports academies that we support are keen for us to help identify these individuals. Should you have the sufficient coaching qualifications and experience you may be given the opportunity to manage your own local netball team and help to train the local coaches to help improve their knowledge and coaching skills in netball. Taking part in this netball coaching project will give you an amazing cultural exchange between you and your players as well as the local community – besides this it will also be a huge amount of fun! The experience will gift you with many new friends and fond memories of your time in Ghana. The concept of the project is not just to focus on the rigorous training and hard work, but to rather allow more youngsters the opportunity to play as part of a structured netball team, giving them a sense of team spirit that is so important to any aspiring sports player. With this focus in mind we welcome netball players from all levels of coaching experience, all we ask is that you play on a regular basis, have a good understanding of the game and posses a basic grounding in netball coaching principles. Most importantly we expect our coaches to possess enthusiasm and commitment. You will also have plenty of time to improve your own netball game by training and playing with some of the top local league teams and university teams. And, depending on your ability and motivation, you will even have opportunities to train with the national squad! 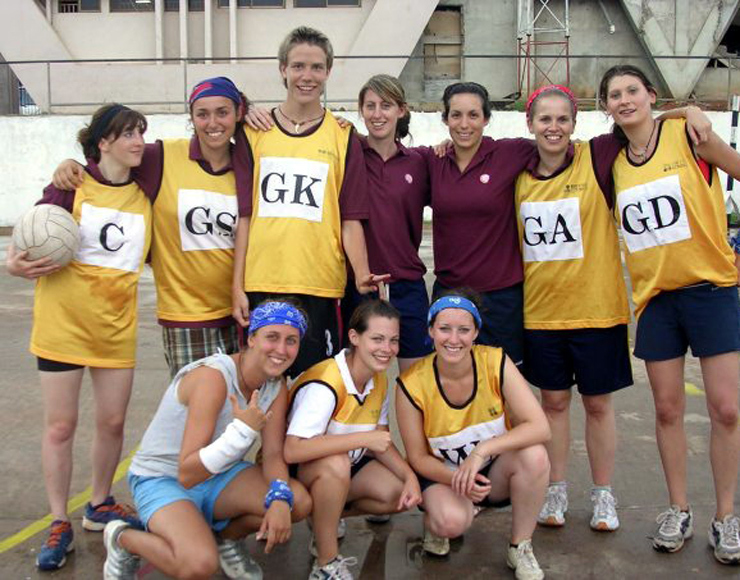 Not only will playing netball in Ghana be loads of fun and keep you fit during your time overseas, it will also provide a great cultural exchange between you and your fellow netball players. You are sure to leave with close friends and fond memories of your time on and off court. The accommodation is basic but comfortable and you will stay in a dormitory style room. The accommodation has a very sociable atmosphere and you will find it a great place to relax and unwind in the evenings. The accommodation is also centrally located to the placements. Shops and other useful amenities are either a short walk or taxi ride away. You will be staying in a dorm room of 2-8 people and will eat most of your meals together. – Several communal areas for socialising and relaxing. – Use of a swimming pool at a nearby hotel at a reduced rate. – A wireless internet access at the accommodation. – Cable TV to watch those all important premiership games. – Various shopping options for basic everyday items such as snacks and drinks, toiletries, SIM cards, phone credit and international phone cards etc. 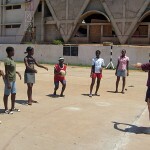 Your Netaball coaching project is based in Accra in Ghana. Since gaining independence from Britain in 1957, Ghana has fast become known for its peacefulness, political stability and perhaps Africa’s friendliest people. Ghana offers an abundance of traveller hotspots, including the rainforests of Cape Coast, the almighty Lake Volta and the elephant watering-holes of Mole National Park. Ghanaians also share a love for sport that surpasses most other nations. Ghana is a rich and beautiful country, packed with culture, history and authentic African tradition. Like many people who visit Ghana, you will soon fall in love with the laidback attitude towards life and the variety of fantastic restaurants, ‘highlife’ bars and African music. However, most of all, you will fall in love with the warmth and charm of the locals.